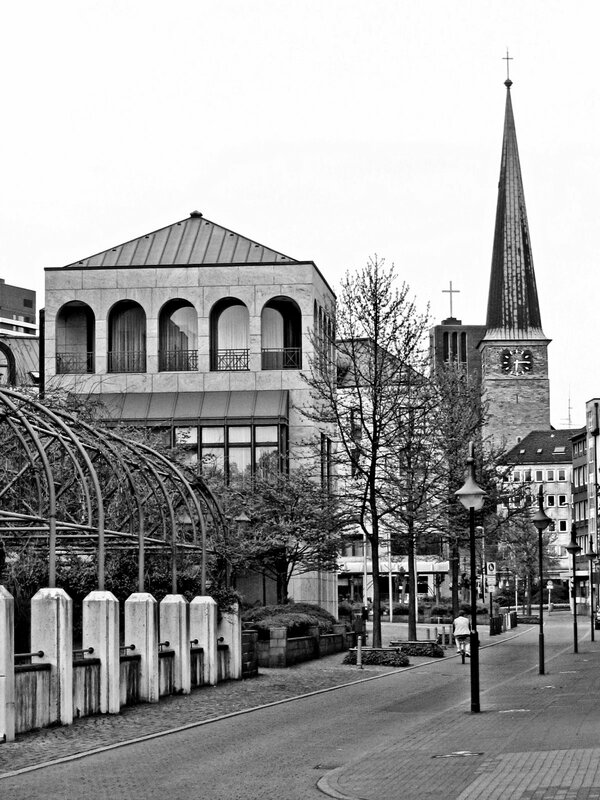 This is an old photo from 2004, but it’s a perfect companion to the previous City Views entry: standing in a street called Delle right beside the Berliner Platz with its mighty bank building, you can also see both church towers together, half-hidden behind lots of other houses. And on the far left corner of the photo you can even see one of the highrises. 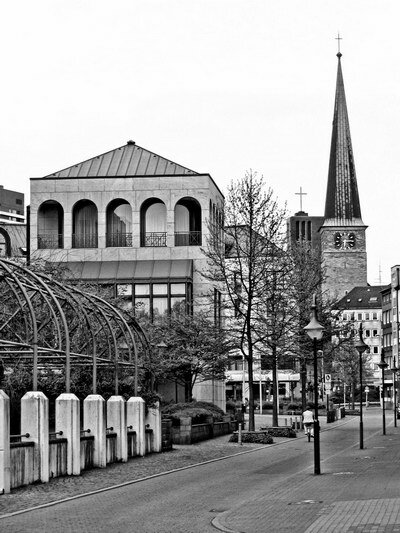 The building on the left with the arches belongs to the huge bank complex of the Sparkasse Mülheim, which was only built in the late 1980s.